King Salman bin Abdulaziz Al Saud emphasized the strength of the relationship between Riyadh and Ankara in a telephone call with Turkish President Recep Tayyip Erdogan, the Saudi press agency said Sunday. According to the Saudi press agency, King Salman thanked Erdogan for welcoming the Saudi government's proposal to form a joint working group to probe the disappearance of Saudi journalist Jamal Khashoggi, and stressed no one could undermine their relationship. Khashoggi, a former Riyadh insider who has been working for The Washington Post newspaper and has been known for his criticism of Saudi authorities, went missing in Turkey on October 2. According to his fiancee, Khashoggi entered the Saudi consulate in the Turkish city of Istanbul and never came out. The Washington Post reported on Friday that Turkish authorities had shared audio and video recordings with US intelligence suggesting the journalist had been murdered in the Saudi consulate. Moreover, the outlet claimed that Saudi Crown Prince Mohammad Bin Salman Al Saud had sought to bring Khashoggi to Saudi Arabia and detain him there. Saudi Arabia on Sunday thanked Washington for not rushing to conclusions as the probe continues into the disappearance of journalist Jamal Khashoggi. This comes after UK, German and French foreign ministers issued a joint statement, calling to identify and punish those responsible for the suspected killing of the Saudi government critic. 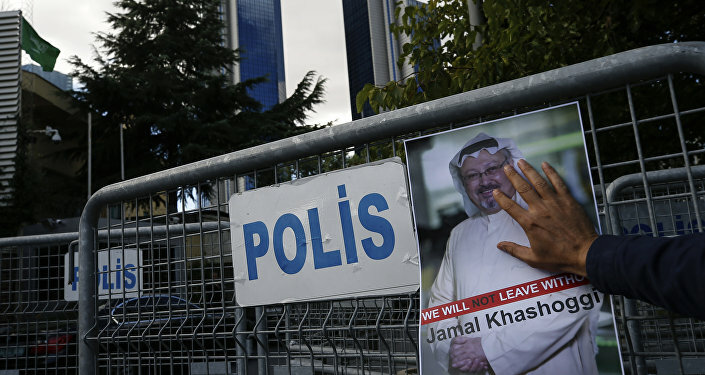 However, Turkish Foreign Minister Mevlut Cavusoglu said on Saturday that Saudi authorities were not cooperating with the investigation into the disappearance of Saudi journalist Jamal Khashoggi, and in particular are not letting Turkish prosecutors into the consulate building. Meanwhile, Saudi Arabia Foreign Ministry warned in a statement on Sunday that Riyadh would respond with serious measures if attacked by sanctions, which the US and the UK threatened the country with after the disappearance of Khashoggi.